One of the famous holy places in Chamba is Katasan Devi Temple that overlooks the enchanting Chamba valley. Located at a distance of 30 km from Chamba and next to the Baira Siul Project in Himachal Pradesh, the region is an ideal spot for outings and picnicking as the region is known as the best location for scenic view. Visitors can witness peaceful surroundings accompanied by the beautiful view of Chamba Valley from the temple premises. 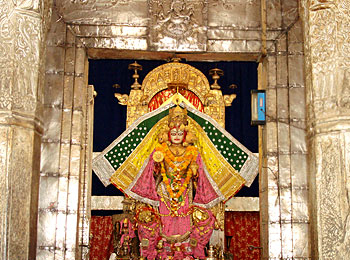 If you haven't explored the other famous temples like Laxna Devi and Shakti Temple of Chatrari, which are located between Chamba and Bharmaur, then you are going to miss something as these are close to Katasan Devi Temple and are must-see attractions that draw millions of pilgrims round the year. Best Time to Visit Travellers can visit the temple round the year but the perfect time to enjoy the trip is from April to October as the climate remains cool.